How appropriate that Chip and Joanna Gaines, of Fixer Upper fame, has this flower as a symbol to their business. A story, and business, that is 10 times bigger than they probably imagined. I was sent The Magnolia Story from an Instagram friend and was super excited to read it. Confession – The only time I have been able to watch Fixer Upper has been on vacation because we don’t have cable TV. The very first time I saw it, at a hotel, it happen to be a marathon!! Thankfully my family wasn’t with me so I got in about 4 episodes and fell in love…like the rest of the world. *You can purchase the book via our affiliate link, HERE. If you were to make a purchase, from any affiliate links in this post, we could receive a small amount for referring you to Amazon. The book is a quick and fun read. It floats back and forth between Chip and Joanna – just like their show. Although we are use to Chip being a goofball, the book shows a solid business side to him which seems to be the direction of his solo book, Capital Gaines. The Magnolia Story starts with first dates, continues through their early years together, and right up to the start of the big show. One criticism I had read was regarding Joanna coming from a successful family, that owned a tire business. The critic felt the couple already had a hand up, however I really didn’t get that from their story. In my opinion, they clearly address their struggles, challenges, and hardships. There is discussion of jail, constant moving, financial uncertainties, etc. You can also tell what a hard working pair they are. Sure we see the end result now, but there was a lot of hard work and trust during those initial years. Their faith seems to be an important part of their decision making process like when Joanna closed down a successful shop……. During the different chapters you get life, business, faith, and family lessons learned in fun and heart warming Gaines fashion. 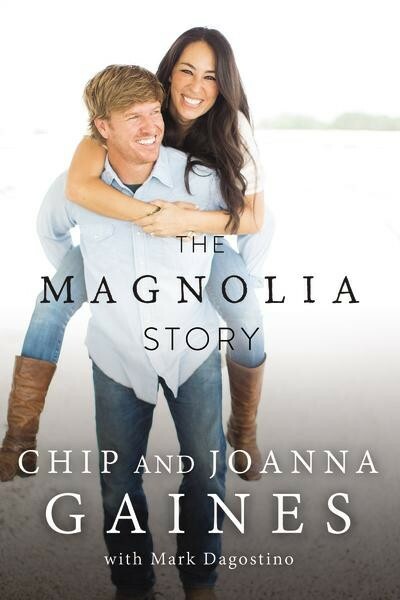 If you love Fixer Upper, Chip and Joanna, of course this is a lovely read. BUT, even if you aren’t familiar with this dynamic duo, I still think it’s an inspirational story for just about anyone. Part of my New Year’s resolution is to read at least one book a month AND give it away after I was done with it. I do this the first Friday of every month. That’s where you come in. 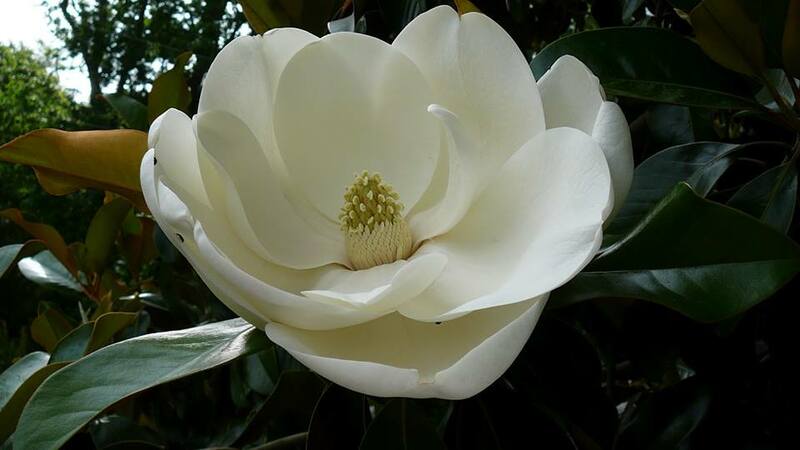 I will give away The Magnolia Story to one reader. Here is what you need to do to be eligible to win. 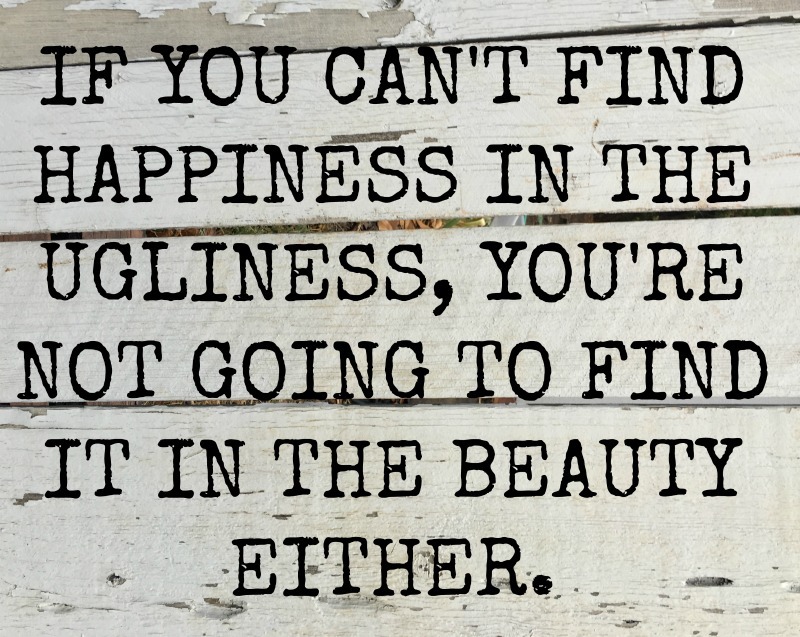 The more you do…. the better your chances. FINALLY – YOU MUST AGREE THAT THE BOOK WILL BE PASSED ALONG TO A FRIEND AFTER YOU ARE DONE READING IT. *You must be 18 years or older to participate. Only open to US residents due to shipping costs, sorry! This giveaway is not connected to any of the listed social media outlets or with Chip and Joanna Gaines. Winner will be selected on 4-13-18 and will be notified accordingly. That person will then have 24 hours to respond or another winner will be selected. 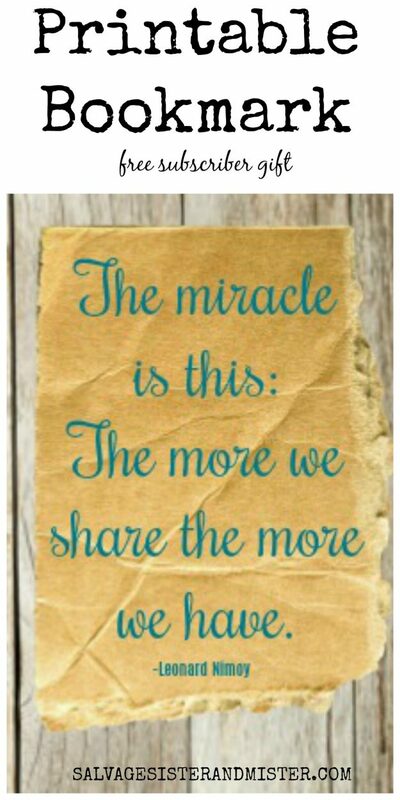 If you are a blogger, and would like to participate in the SHARE A BOOK program, the first Friday of every month will have a link up that you can add your book review, any clean genera, provided you agree to giveaway the book to a reader. If you are a blooger who would like to participate in this SHARE A BOOK link up, just simply add your post below PROVIDED you are offering to SHARE YOUR BOOK. I love Fixer Upper and seeing the home transformations. They definitely make a great team and seem so down to earth. 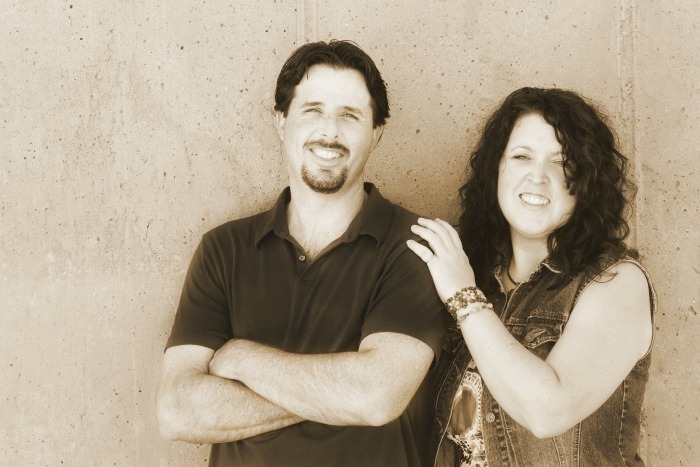 It’s great that they’re sharing their story and can encourage others to follow their dreams. Also, what a fun way to get people to read by sharing books! This book looks great – great review! Thank you. It is a really good book. I have watched everyone of the shows and will truly miss them. I wish that I could view Fixer Upper in my area. My favorite craft is repurposing silverware boxes. Good luck on giveaway. What a bummer you can’t view it. It’s great and so hilarious too. I will miss Fixer Upper as I have watched them since the beginning and some episodes I’ve watched multiple times. However, I also love Home Town and Good Bones, so I’ll have to survive on those two great shows. Love Chip & Joanna!! Their story is inspiring & their show on HGTV is one of my faves. I hate to see it end. It really is. It’ll be fun to see what they have up their sleeves next. Good luck on the giveaway. Hugs back. I love giving new life to old worn out furniture! Thanks for this chance to win cool stuff!! Yes! It’s so fun. You’re welcome and good luck. Loved their show but I did their audiobook for this one! I have a long commute. Another good book is “So Close to Amazing” and I would recommend it. Audiobooks are perfect for long commutes. I’ll have to look into the book you suggested. Thank you for the recommendation. I love all crafts. Working on gourds is one of my favs. Oh fun! We’ve seen some pretty neat gourd crafts. I have read Chip and Joanna’s first book and found it an interesting and entertaining read. I have also read excerpts from Chip’s book which were also interesting and revealing of a much deeper character than we see in him on their programs. In my neighborhood we have a small park and at that park there is a Little Library box where we take and give books. I plan to give Chip and Joanna’s book to the Little Library. Great show & fun giveaway !! Thanks so much …. It is sad, but hopefully you can watch repeats right? Thanks for the great giveaway box! You’re welcome Karen. Good luck on winning. I have too many favorite crafts lol! The most recent is coloring in the adult coloring books. Haha! I might agree with you on that one. Adult coloring books are so fun. Chip and Joanne are so super talented and have a beautiful family. Joanne is so creative and has such wonderful taste. Who wouldn’t love a home decorated by her? Thanks for this opportunity. Sadly, the only time I’ve caught this show is in the waiting room at a doctor’s office. I don’t have cable access, but this seems like a great show to binge watch! Yah, we don’t have cable either, so I can really only watch it on vacations. It’s a great book. 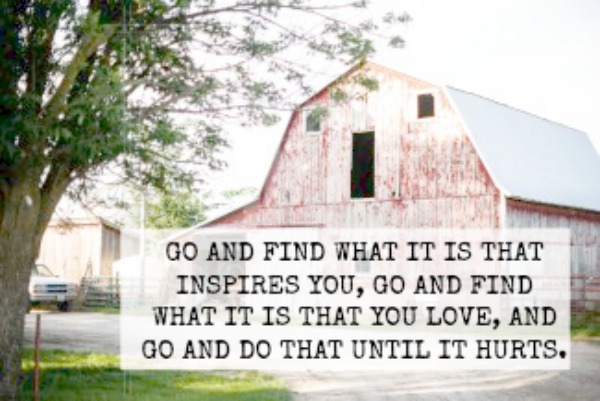 We love everything Magnolia & Fixer Upper inspirations. Since Waco is only 74 miles from our home in North Texas, we’re looking forward to our next visit and going to the new Magnolia Table. Oh my. A visit there would be awesome. It’s on my bucket list for sure. We’ve been to the Store. It’s truly a wonderland of inspiration for making a home your own. The bakery is a sweet experience too so I’m sure the Table will also be a delight. I’m fortunate to have a husband that enjoys renovating, repurposing and restoring. He even goes thrifting & junking with me and tolerates the fact that I’ve filled every nook & cranny ( including his workshop) with future projects. Gotta love a man like that—they’re rare. I hope you get a chance to visit our Great State of Texas soon…stop by Burleson and sit a spell. I reread my books numerous times: i am a mystery junkie. Most of my craft books get used again and again. I think it is great to pass on books; we bring our magazines to our local VA hospital where my SO gets medical care. Loved the Leonard Nimoy quote! Love the April giveaway ! My favorite craft is paper crafting and crocheting. How I love my Saturday mornings as I watch Chip and Joanna and their wonderful children. I love the fact this is a pay it forward kindness act. I will give it to my best friend. I don’t do social media, this is it so my chances are slim to win but I would love to read this book. HI. I don’t watch the show, but my daughter does. If I win the book, it will make a great gift for her. Thanks for the opportunity. ps – please proofread your posts before publishing. I’m a Fixer Upper fan, too, and can easily get lost watching the show. I’d love to read the book and would promise to pass it along to one of my blog readers! I’m new to your site but I look forward to reading/following your blog! Love your give away. Lately I am into zentangle. Deborah, I haven’t heard of that so I will have to check it out now. I know it’s crazy….but, I’ve never seen the show! We made the decision to cut ties with cable. We view Amazon Prime and Netflix on our ROKU device. Hopefully someone I know has kept the series recorded! I have heard nothing but good things about the show and the couple, so much so that I subscribed to Magnolia magazine. Susan, Not crazy at all. As I stated, we don’t have cable either. I think the shows are on amazon prime (not sure as we don’t have that either). I always watch there show and the book looks wonderful too. Not my cup of tea when it comes to style, but I can see their mass appeal. I do love magnolias! Fav craft is making mosaics. That book looks interesting. Thank You for the giveaway. I have been wanting to get this book and read it. We love Fixer Upper. This looks a great book! I would love to read it! Good luck on giveaway. It’s a great book.